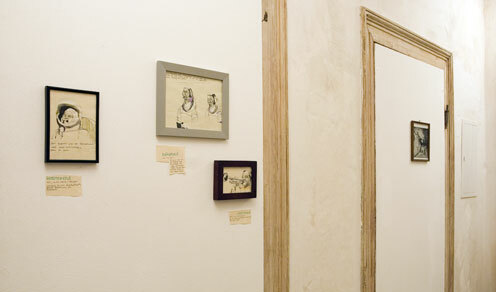 The exhibition shows the different positions of the three artists. Kristin Nöthling showed collages that have been created through different techniques of illustration. Jens Schubert found a very special way to picture an animal life that slides between a symbolistic and a fantastic but in every way very personal view. Johanne Ritter completed the exhibition with her specific and detailed illustrations.